Former Tangerine Dream member Steve Jolliffe will celebrate the 40th Anniversary of the band’s Cyclone album with a full live performance of the album at London’s The Lounge in Archway on 9 March. 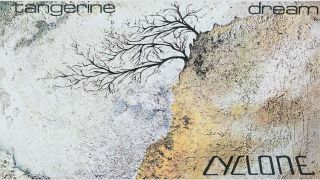 Jolliffe, who had been a member of the German progressive rock pioneers in 1969, rejoined them in 1978 for Cyclone, for which he provided vocals (it was the first Tangerine Dream album to feature vocals), synthesizers, piano and various wind instruments. The show promises lights, lasers and visuals to accompany the music, plus the first 20 people through the door will receive a free CD. Tickets for the show cost £12.95 in advance and are available from here. Tickets will cost £14.95 on the night.